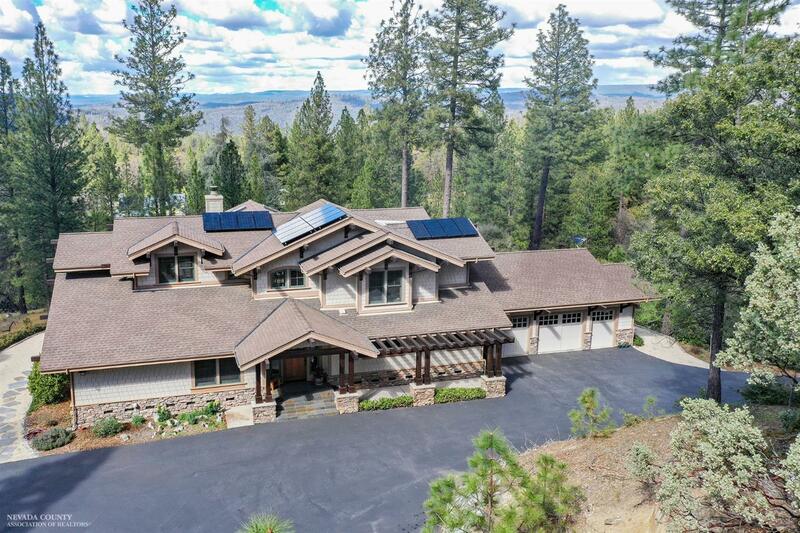 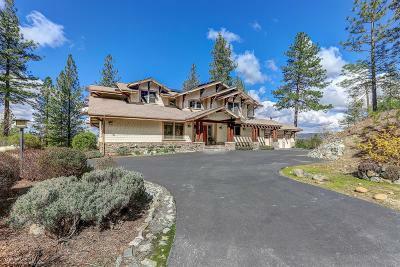 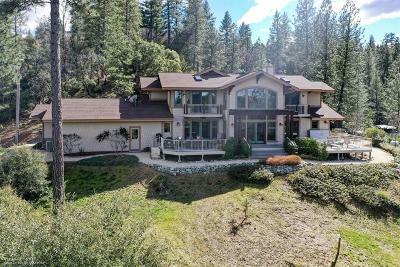 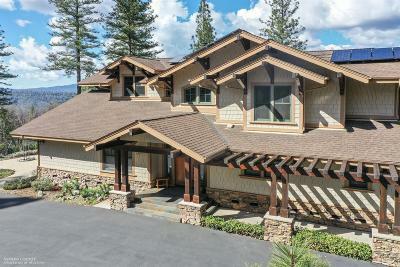 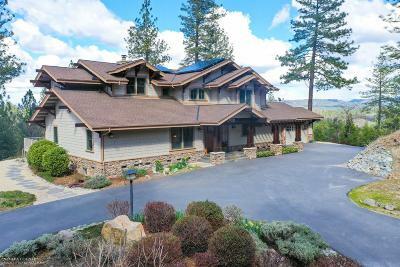 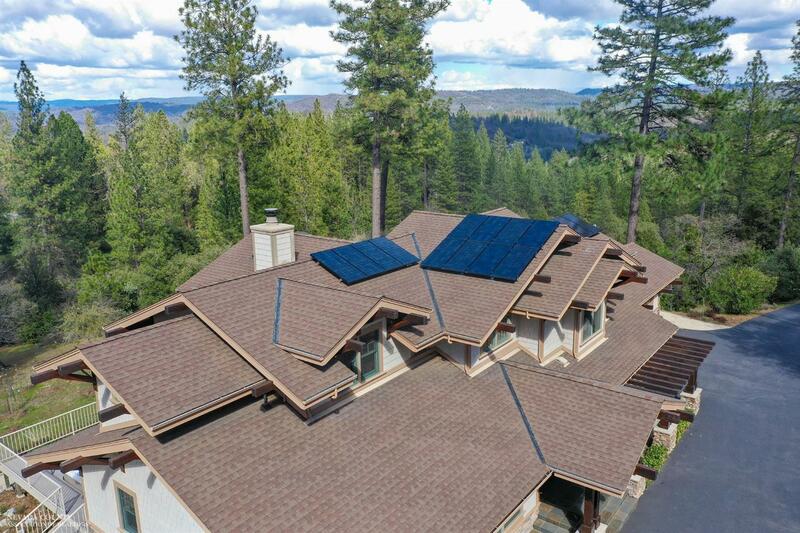 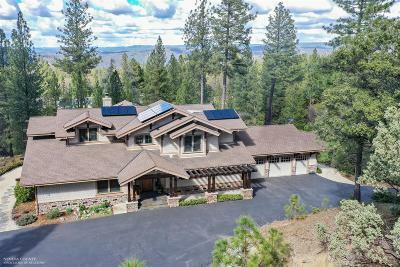 SPECTACULAR 180' VIEWS from this 2004 Craftsman style CUSTOM home on prestigious CEMENT HILL with no expense spared on attention to detail. 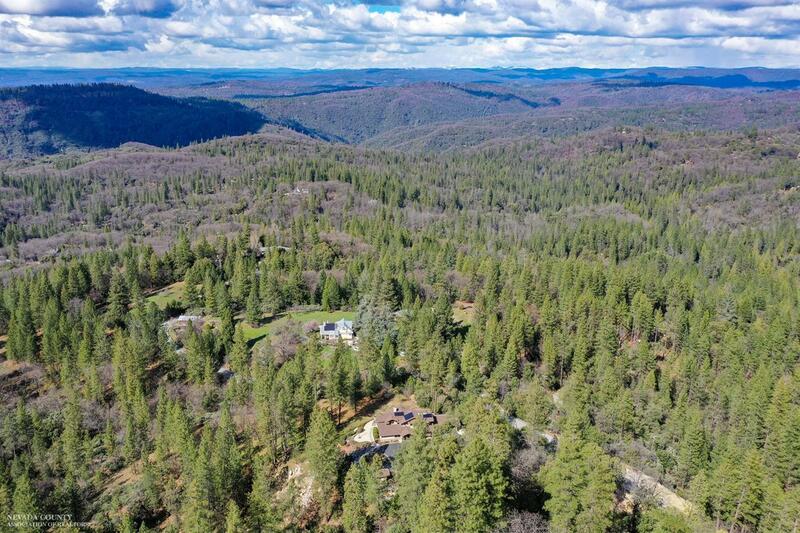 12+ private, peaceful acres (2 APNs) w/seasonal pond and stream and gold rush history. 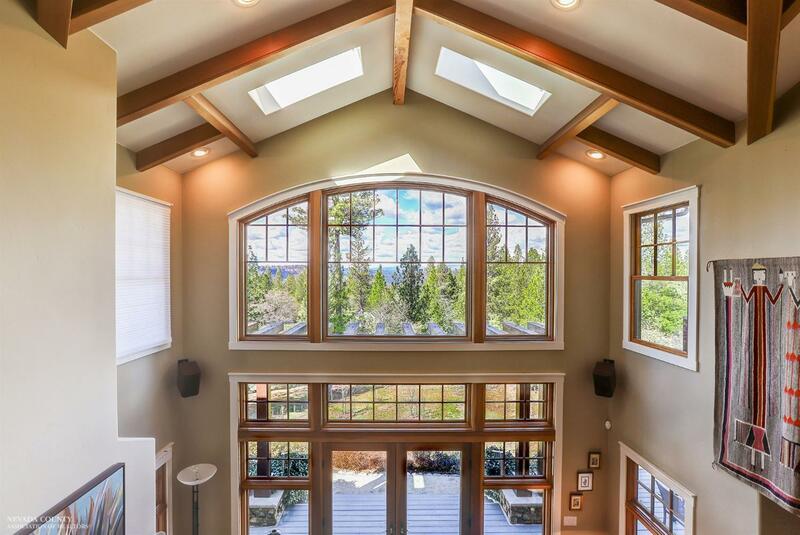 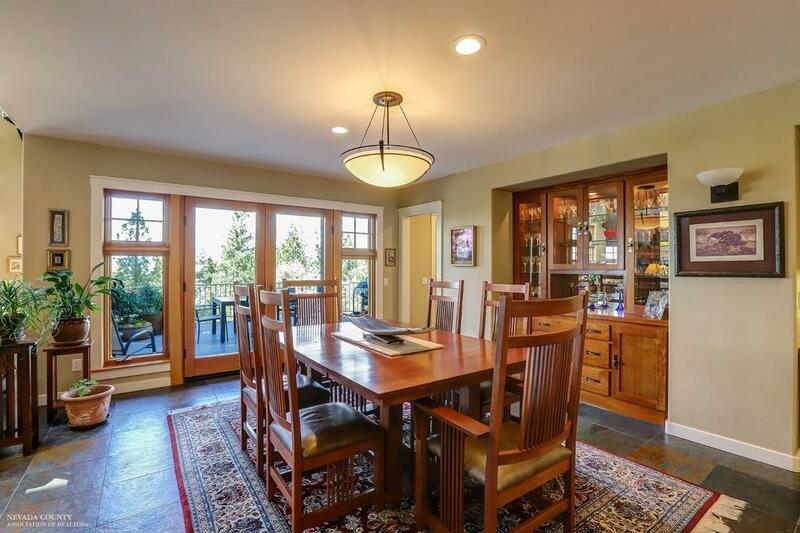 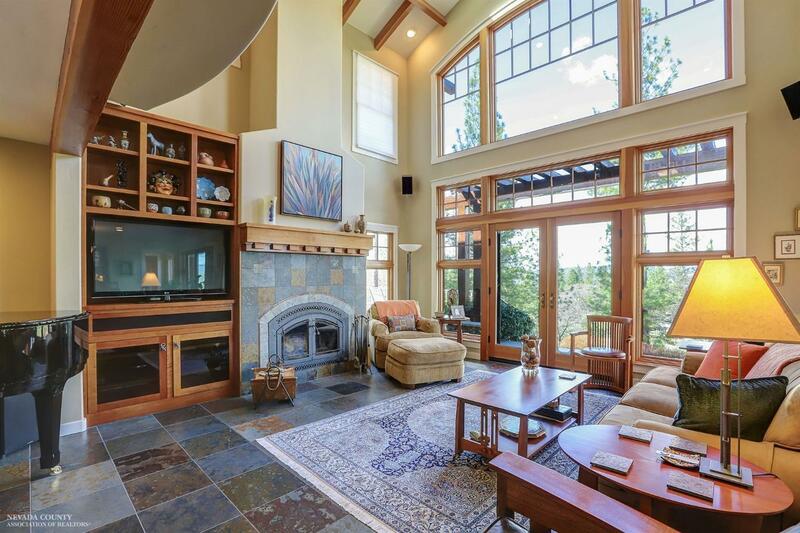 Amazing vaulted ceiling in greatroom w/floor to ceiling domed windows welcoming the light...true gourmet kitchen, master suite w/patio..all bedrooms en-suite...large spa w/long range views. Public water PLUS well PLUS 2 holding tanks...radiant heat on main floor, forced heat/air, fireplace and backup generator hard wired to essentials and SOLAR (owned)...Cherry wood custom built-ins throughout with a lovely library and office plus Douglas fir beams, doors and window moldings all enhance this artistic, sophisticated home built with every convenience in mind. 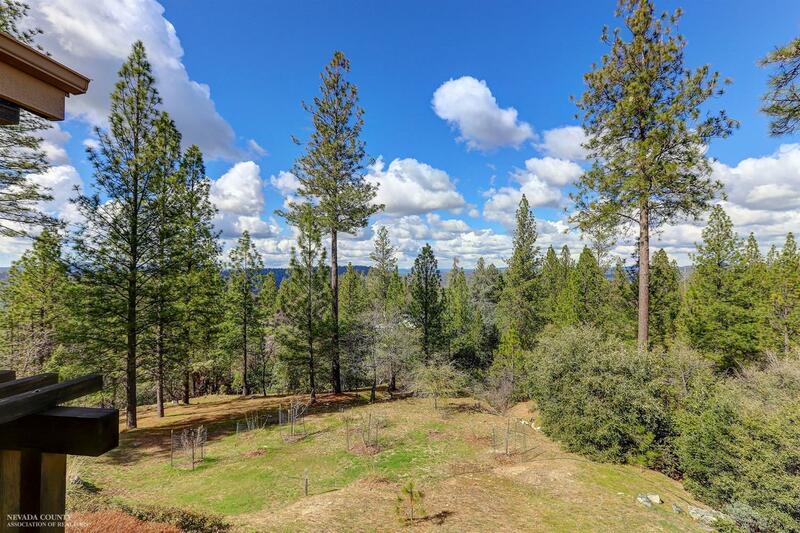 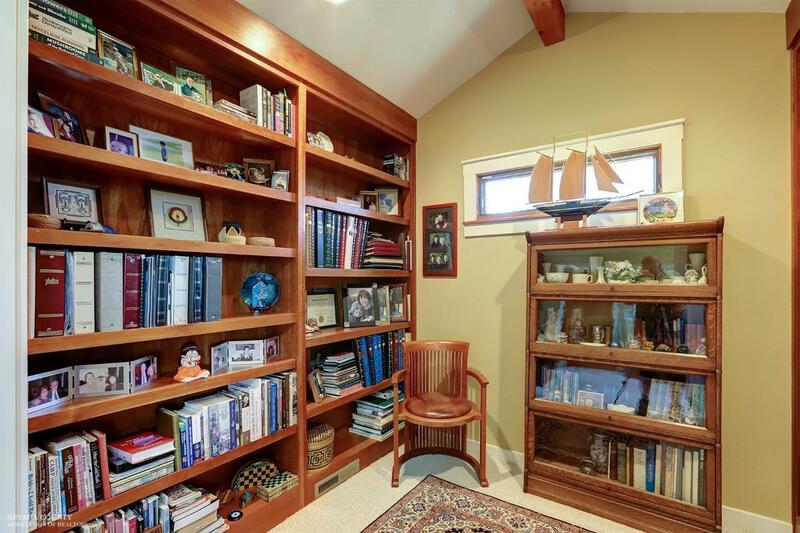 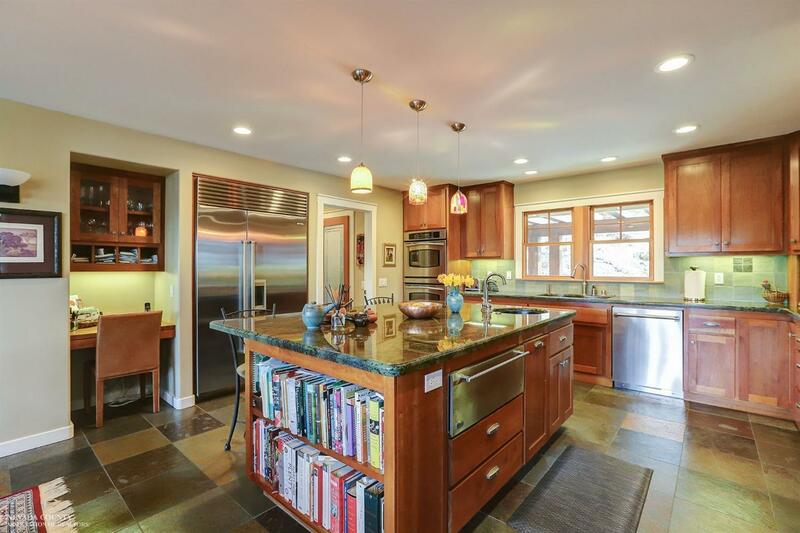 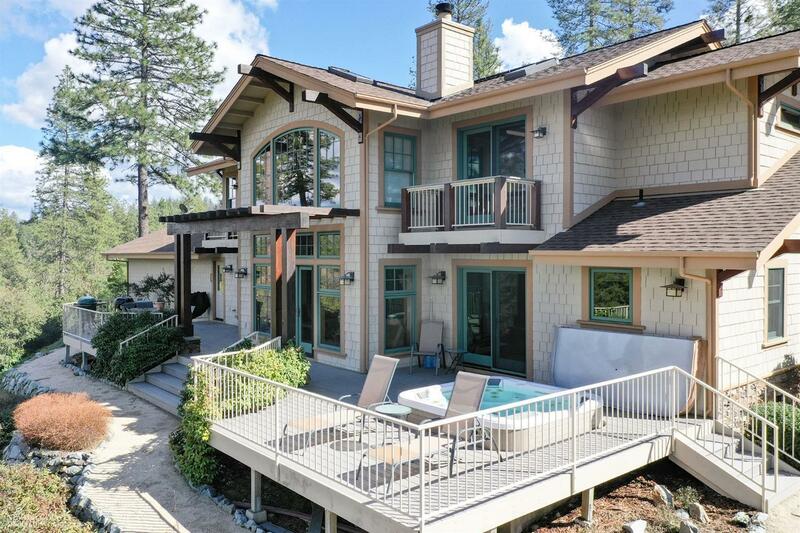 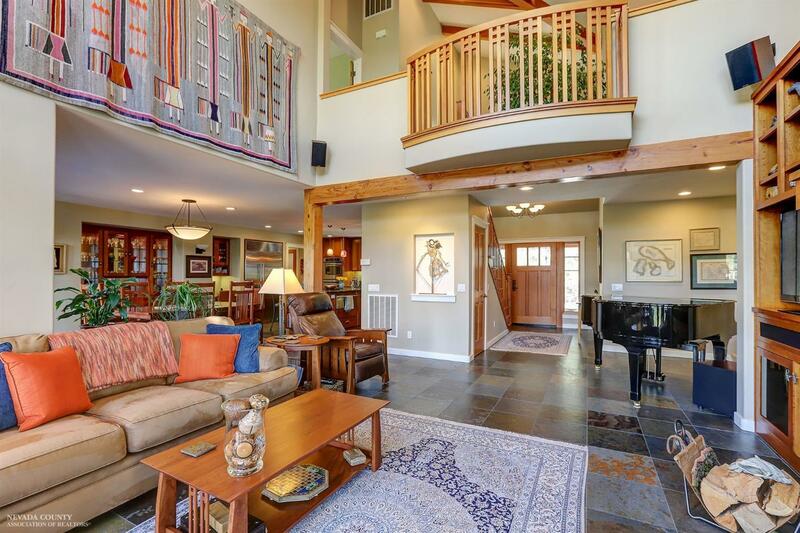 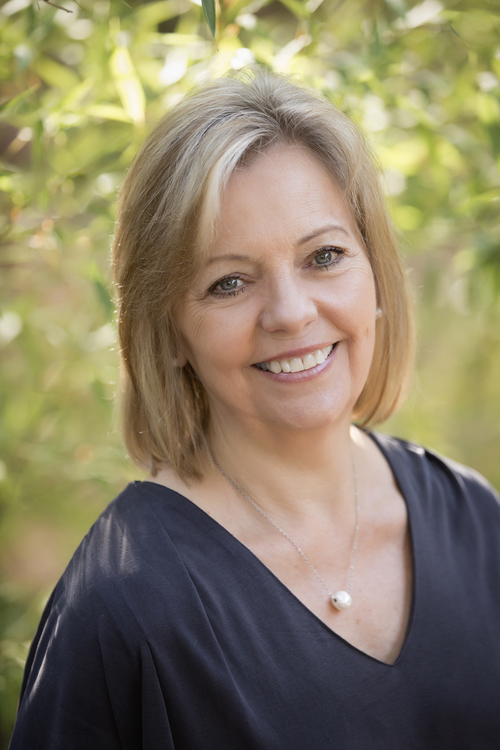 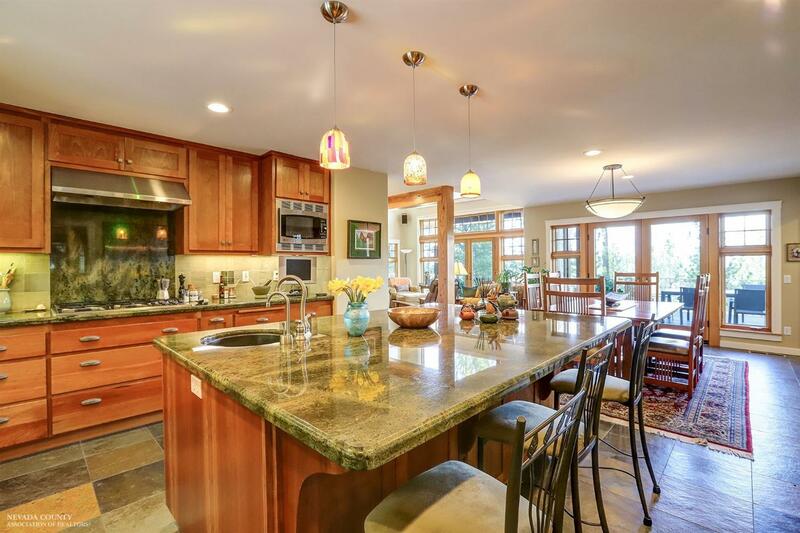 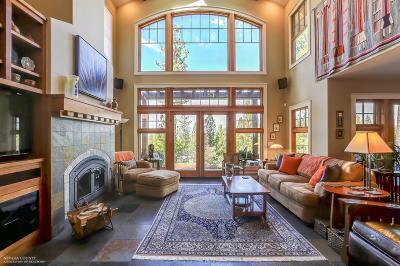 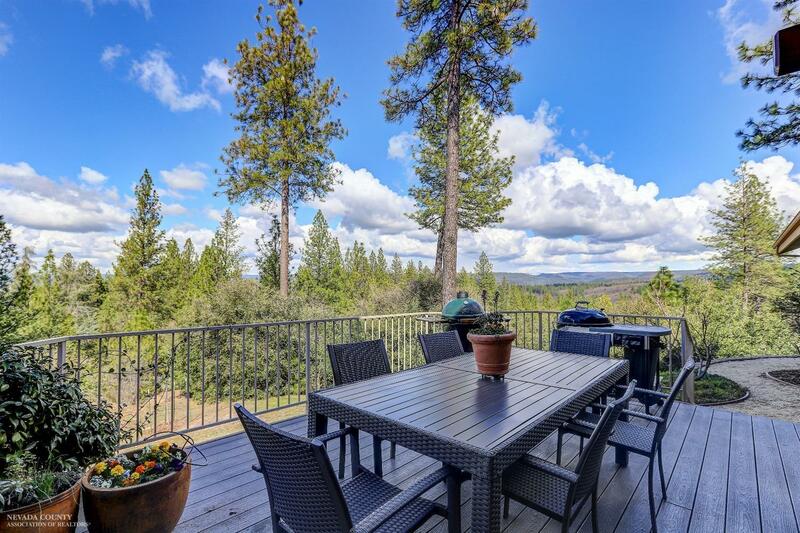 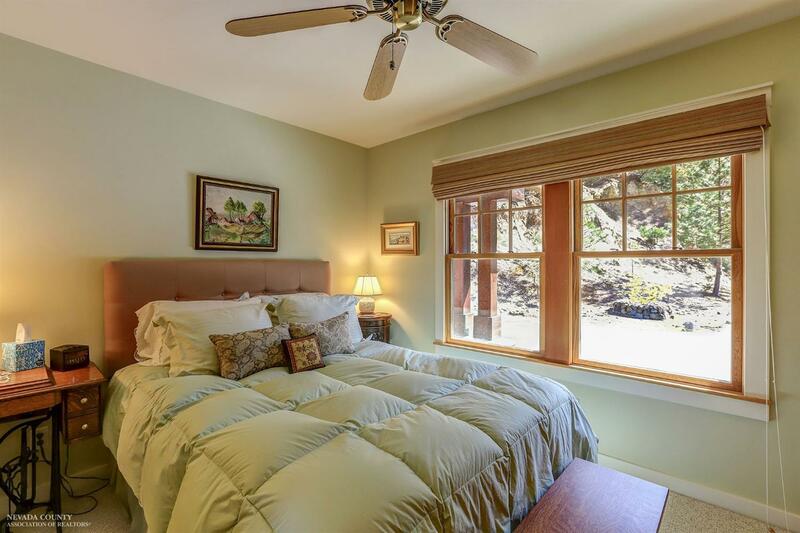 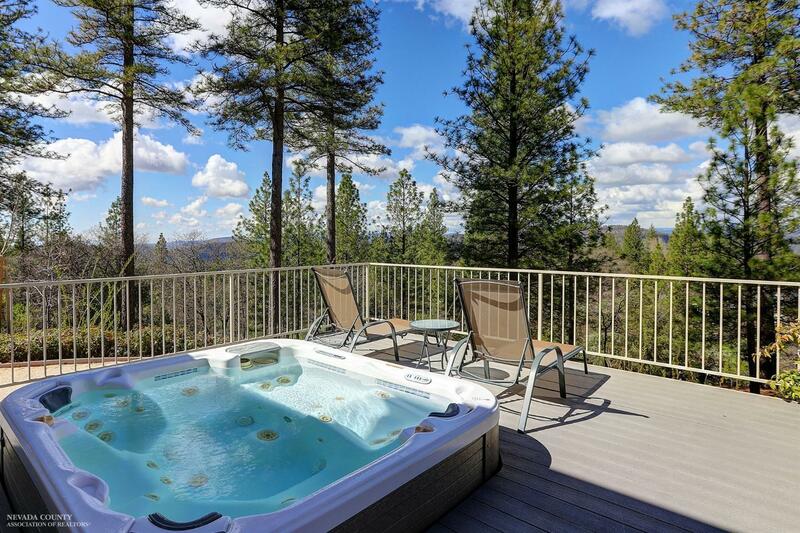 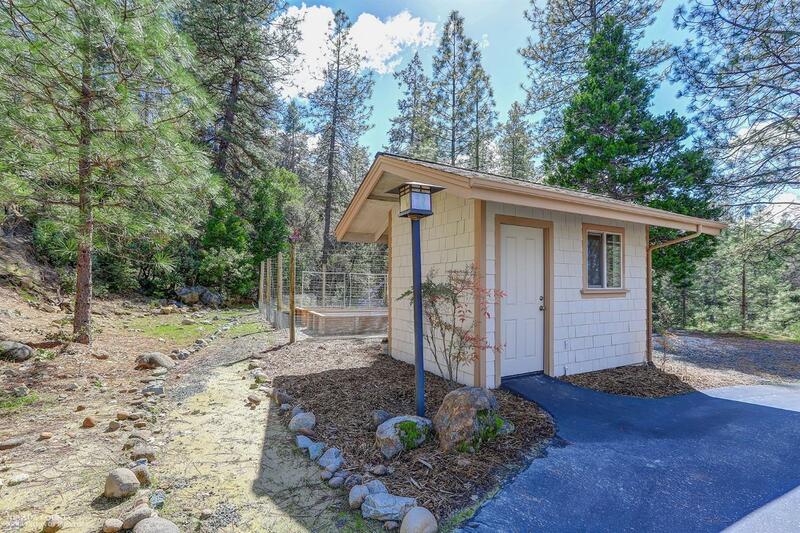 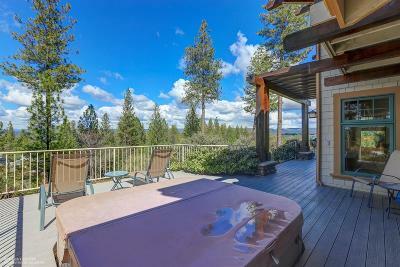 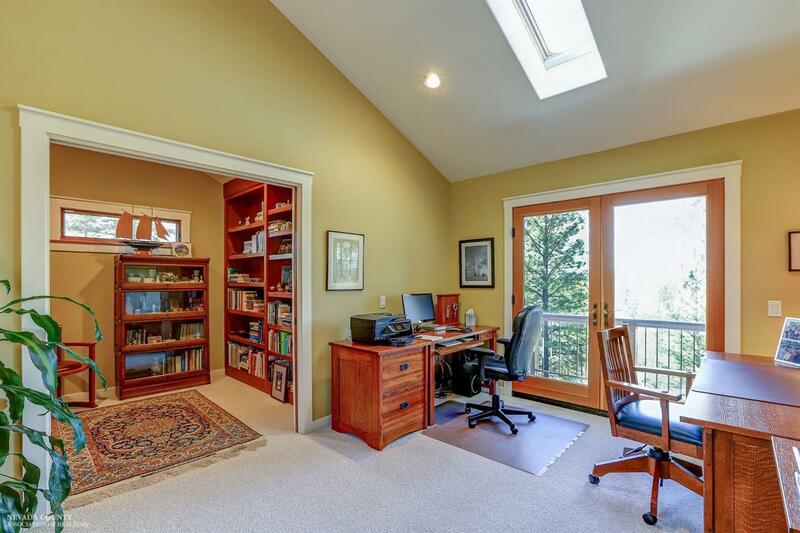 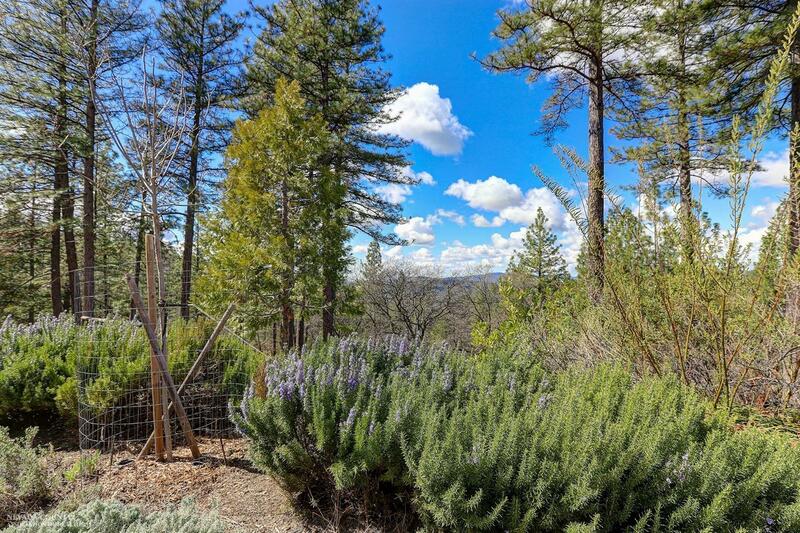 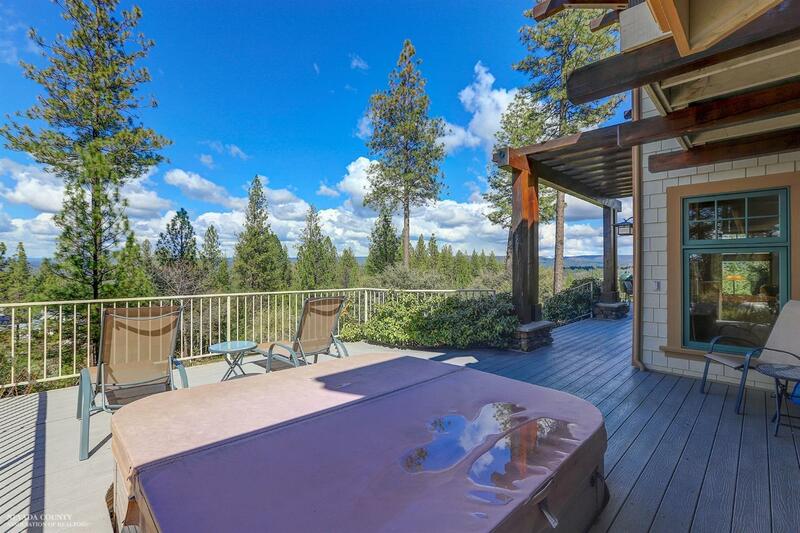 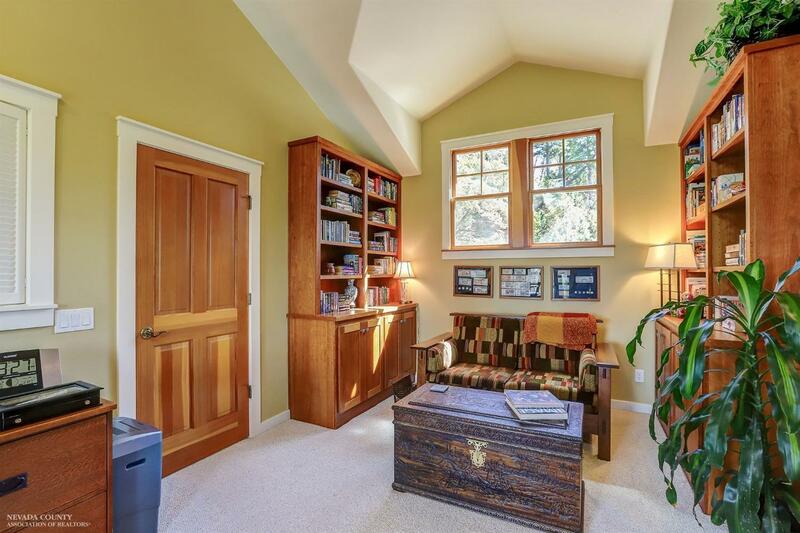 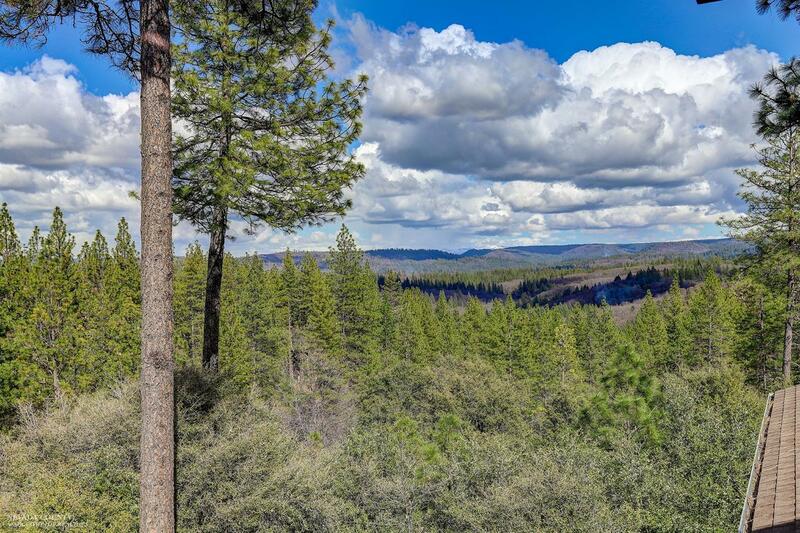 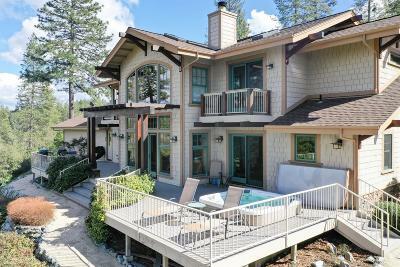 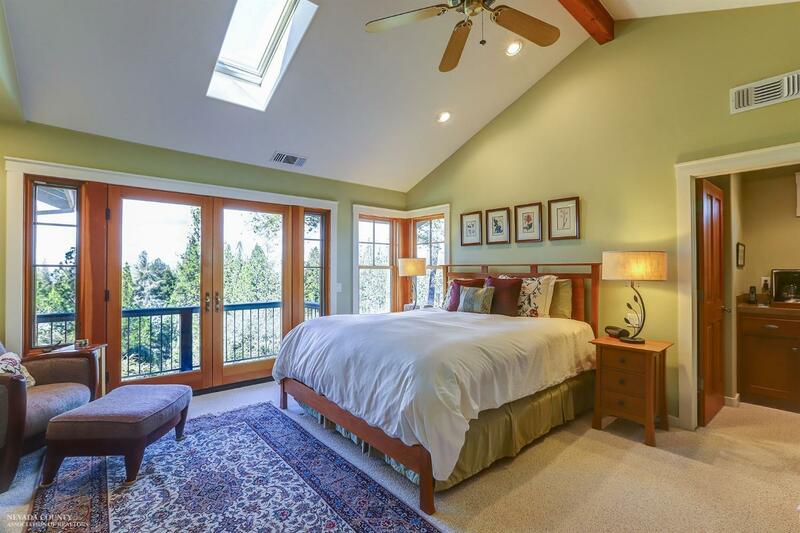 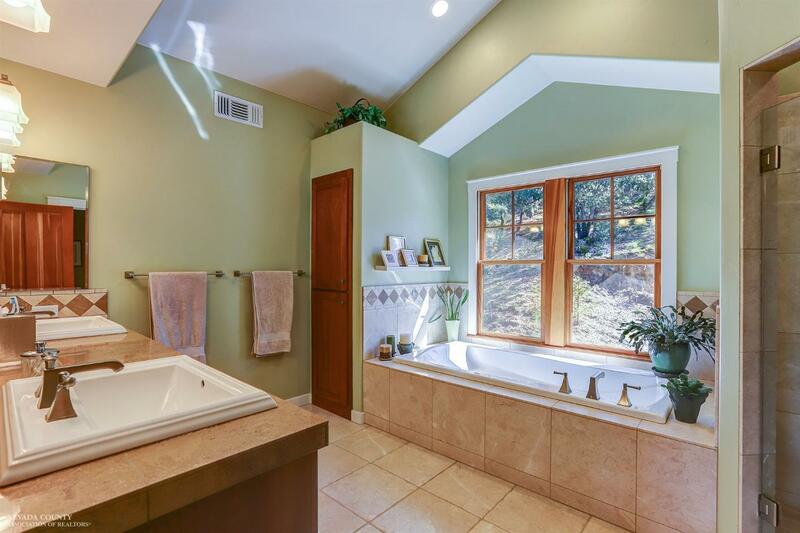 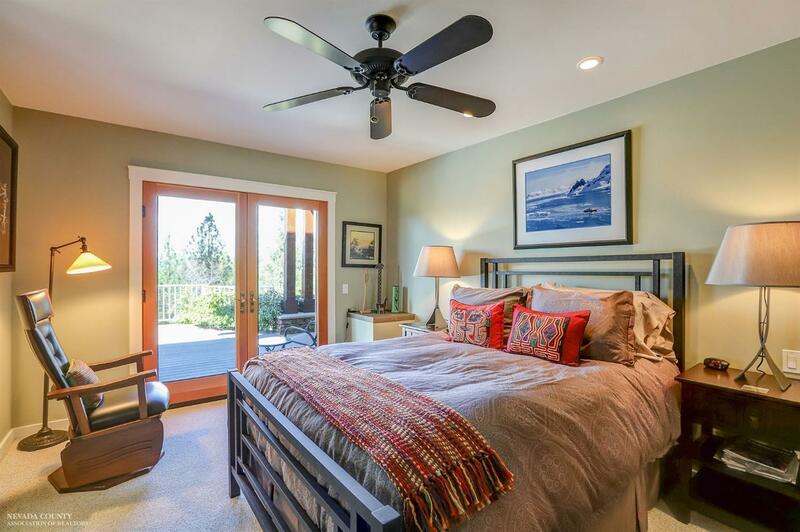 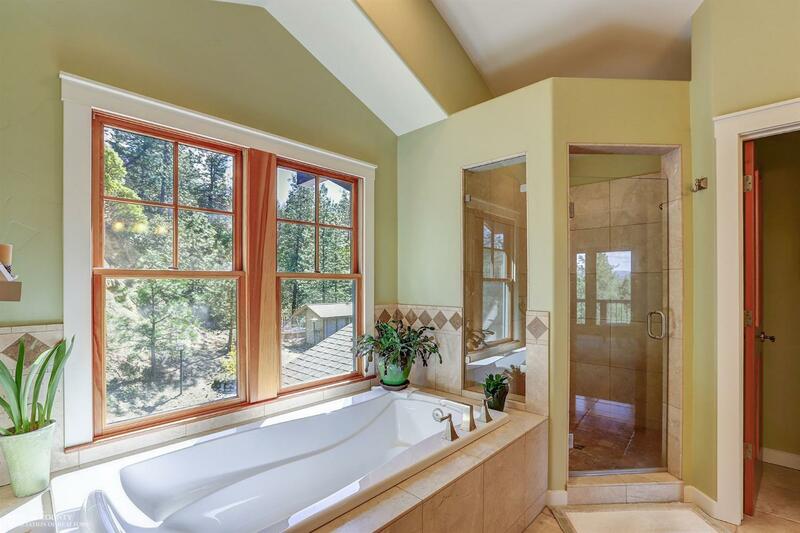 Only 5 minutes to downtown historic Nevada City.